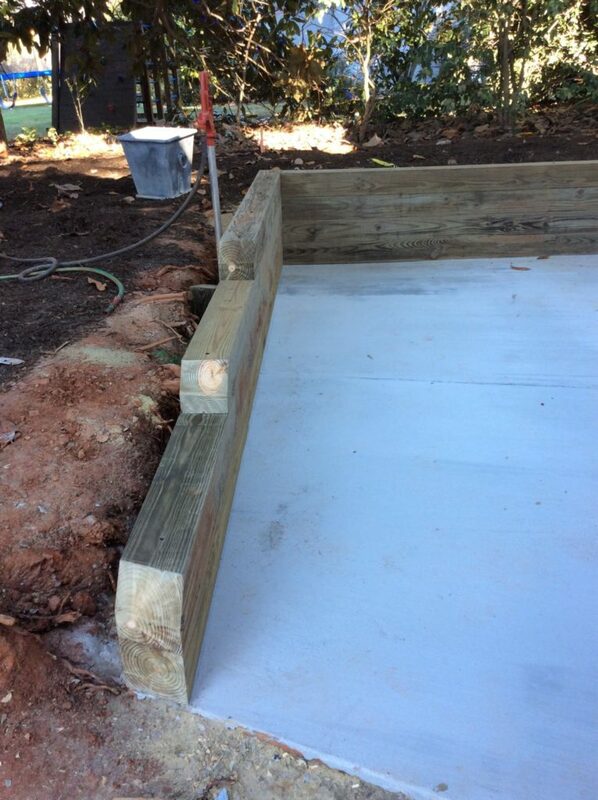 Reynolds Contracting offers a variety of construction services, including earthwork, concrete, foundation repair, and landscaping/hardscaping. The benefits of hardscaping make it one of our favorite types of jobs; its functionality and long-lasting aesthetics can create dramatic improvements to your home. While landscaping offers beautiful living additions to your property with plants, trees, and grass, hardscaping gives structure, safety, and permanent fixtures around your home. Hardscaping can take many forms. Walkways, sidewalks, and patios are considered hardscaping. Water features and fountains are also included in hardscaping services. Retaining walls are useful structures in hardscaping that we’ll feature here. 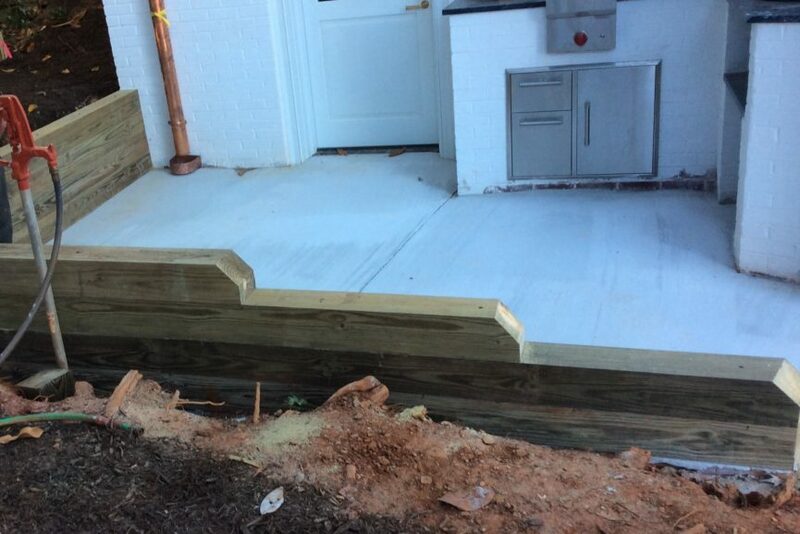 On this job, we built a retaining wall for a homeowner around the perimeter of an outdoor patio. 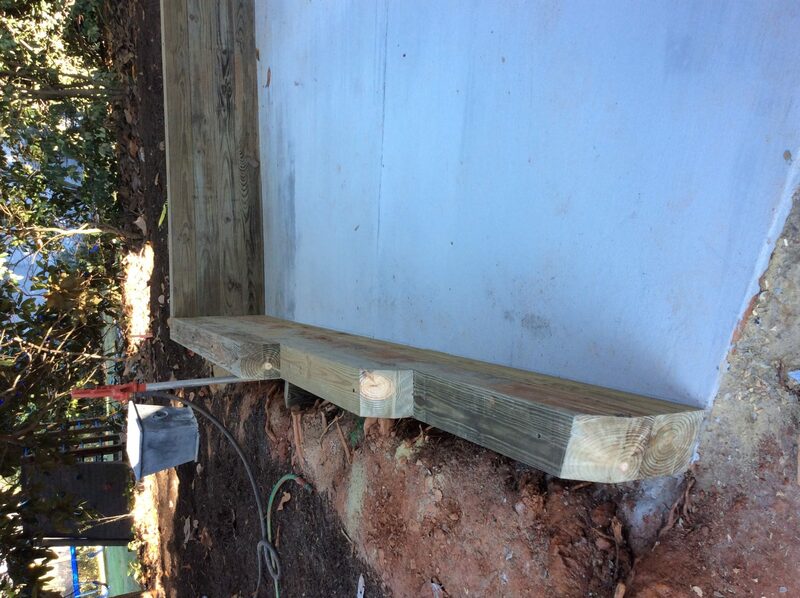 The wall is stacked up 3-boards tall, preventing surrounding soil from washing onto the patio. Here, the benefits of hardscaping can be clearly seen in the final product, which allows the homeowner to use and enjoy this patio more than ever before! The benefits of hardscaping make it one of the most fun, versatile services we offer. The sky’s the limit, and creativity knows no bounds! Contact us 434-293-6724 to share your vision with us and get an estimate today.